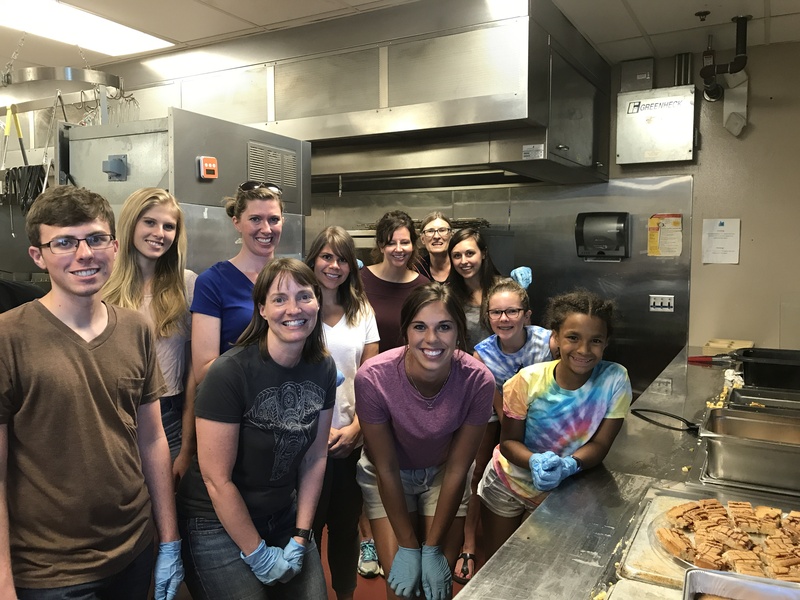 Twelve volunteers representing Whitfield & Eddy Law served dinner on Sunday, July 23, 2017 to Central Iowa Shelter & Service’s guests and residents. Attorneys Jaki Samuelson, Kara Sinnard, Anjela Shutts, Maureen Tobin, Jennifer Drake, Molly Brown, Ashley Charnetski, law clerks Anna Mallen and Bryn Hedlund, and family members provided the food and served the meal. In one week at the shelter, 14 volunteer groups serve meals and more than 350 meals are served. The Central Iowa Shelter & Service’s mission is to provide free shelter and meals to homeless adults and approximately 2,000 women and men receive emergency shelter and support services annually.